Lizzy left from LAX, and I’m on my own for the next week and a half until I get back to the East Coast. 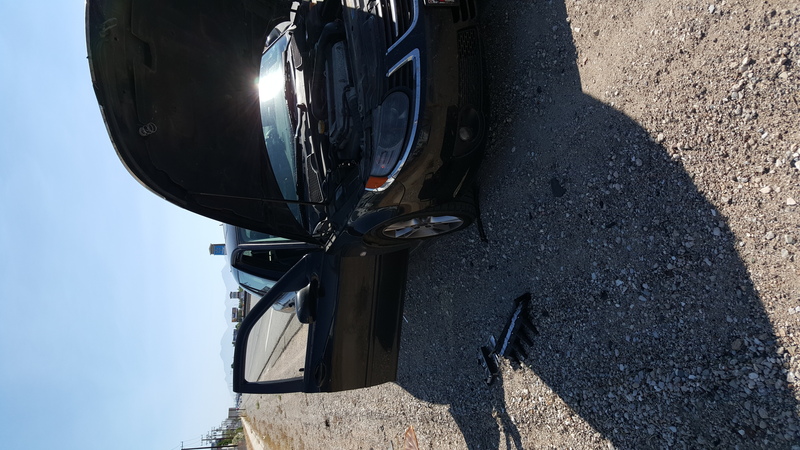 Just my luck, because soon after leaving California, the Saab broke down! 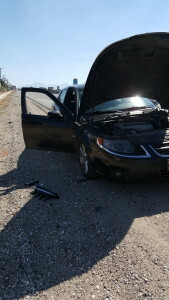 I was stuck on the side of the road in the 110˚ degree heat with a car that would not start. I pulled the spare DI out of my trunk (drive a Saab long enough, and you’ll always have one of those in the boot), undid the 4 torx screws and swapped it out. It started right up without issue! The spare thew a check engine light (it was loaned from a friend and not 100% functional, I ended up getting a brand new part in Denver), but I tightened the bolts and was on my way soon enough. Total time for repair: 10 minutes. My next major stops were Zion and Bryce Canyon National Parks in Southern Utah. I was excited to get back out in the wilderness after spending several days in California cities.